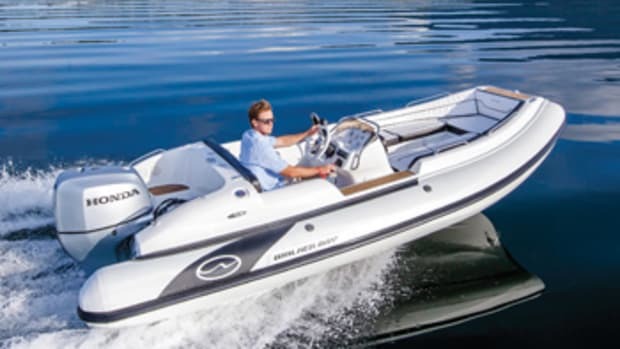 I attended a Honda Marine media event this summer where Flexboat had an inflatable and two RIBs available for testing: the 7-1/2-foot Miniflex-S, the 12-foot SR-12 SLX RIB and the 25-foot SR-760 RIB (below). 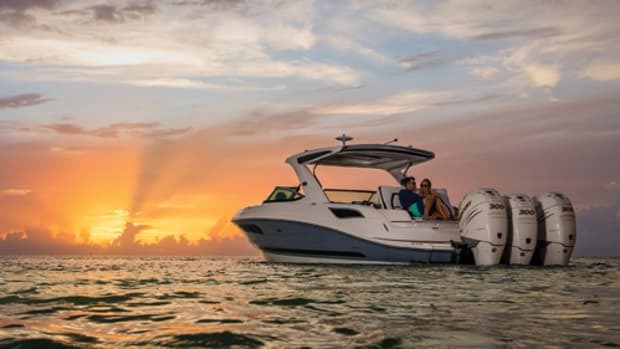 “We’re trying to get people to realize that quality RIBs are lifetime boats, not disposable rubber toys,” says Rob Creemers, who with his wife, Jenny, owns AI Boats Marine Sales & Service in St. Petersburg, Florida. 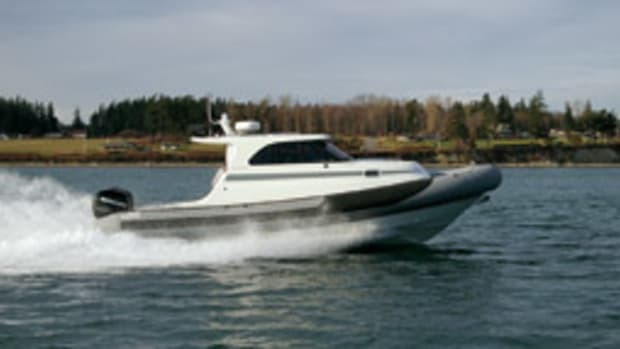 AI is the exclusive North American importer/distributor for Brazil-based Flexboat, whose fleet runs from 6-1/2 to 34 feet. 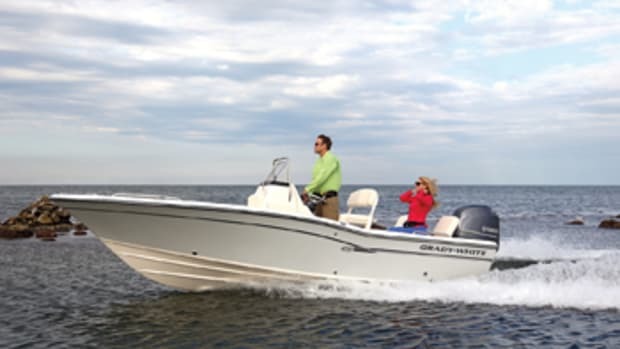 Flexboat uses military-grade Hypalon, says Creemers, who began selling the line last fall. 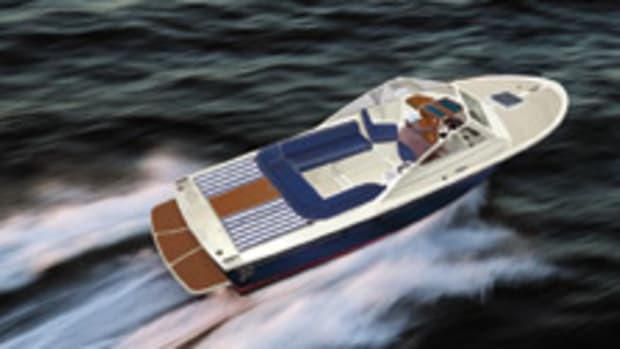 The boats are shipped bare, and AI finishes them, installing the wiring, console, T-top, propulsion, steering and options. 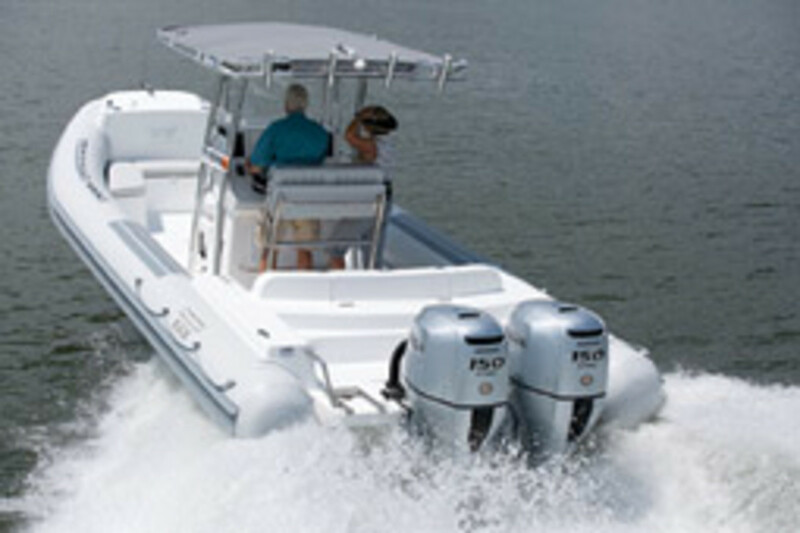 Creemer says AI has been a Flexboat dealer since 2007 but now has importation rights. I put the SR-760 through its paces on a relatively calm Lake Oconee in Georgia. 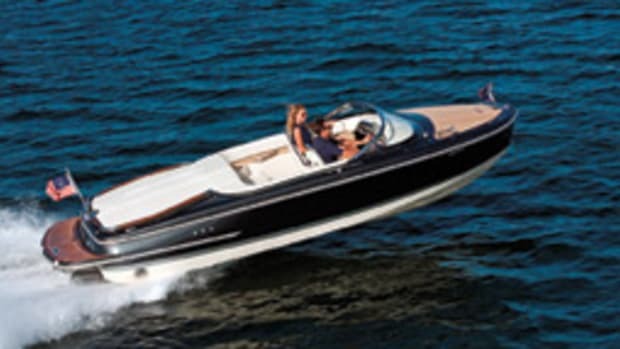 The boat exploded up on plane, keeping her bow down, and showed impressive midrange acceleration with twin Honda BF150s. 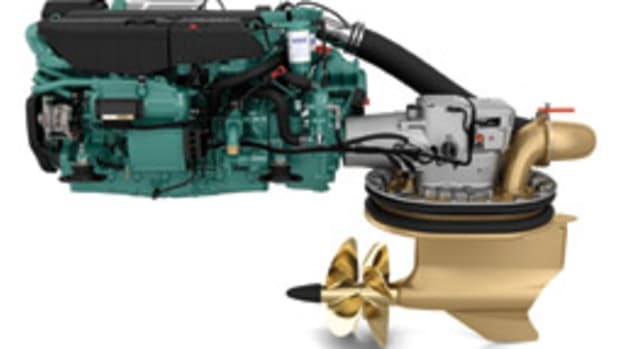 This boat-engine package gets 3.8 mpg at 28 mph — that’s with twin 150s.